Paia is pleased to announce that it is the exclusive training partner in Asia (ex-Japan) and a Premier Partner of GRESB, the global standard for sustainability assessment of real estate portfolios and infrastructure assets. 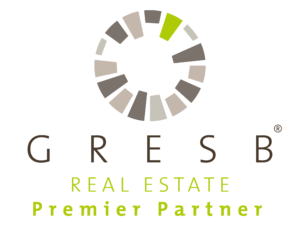 GRESB’s Real Estate Assessment is widely recognized as the leading benchmarking initiative in the real estate sector. GRESB is an industry-driven organization committed to assessing the Environmental, Social and Governance (ESG) performance of real assets around the globe, including real estate portfolios (public, private and direct). On behalf of more than 60 institutional investors, GRESB has assessed more than 1,000 property companies and funds globally. Participation in the GRESB Real Estate Assessment provides companies and fund managers with an opportunity to both measure sustainability performance and also benchmark their portfolio against industry peers. Thus, they are better able to optimise the position of their portfolio in the face of ever increasing market volatility. Participation is free. • Participant Training, where delegates learn to assess and enhance their current performance, to more efficiently prepare their GRESB response, and to improve the quality of their submission. • Investor & Analyst Training, which focuses on ESG integration in real estate investment decision-making and applying GRESB data and tools to assess and improve portfolio performance.